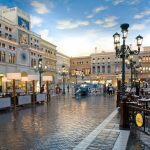 In 2012, Caesar’s Entertainment bought the 35-year old Las Vegas property formerly known as the Imperial Palace, with plans to remodel and reintroduce the property to a new generation of Vegas visitors – as The Linq. 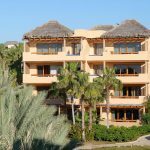 The property was in need of serious remodeling—particularly the casino’s rooftop swimming pool, which was in very poor shape. 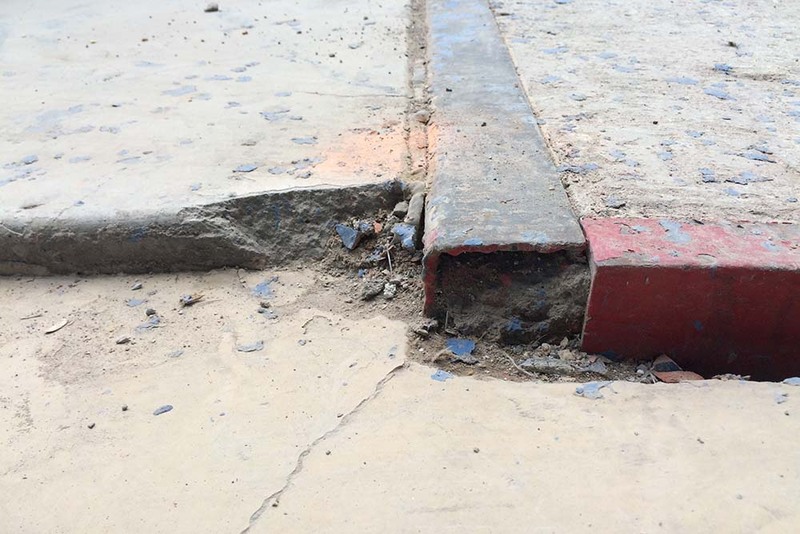 Some sections of concrete substrate had deteriorated down to the metal rebar, posing major structural problems for the engineers. Having no molecular bond for the surface could result in structural weaknesses, or, worst case scenario, a major roof collapse. 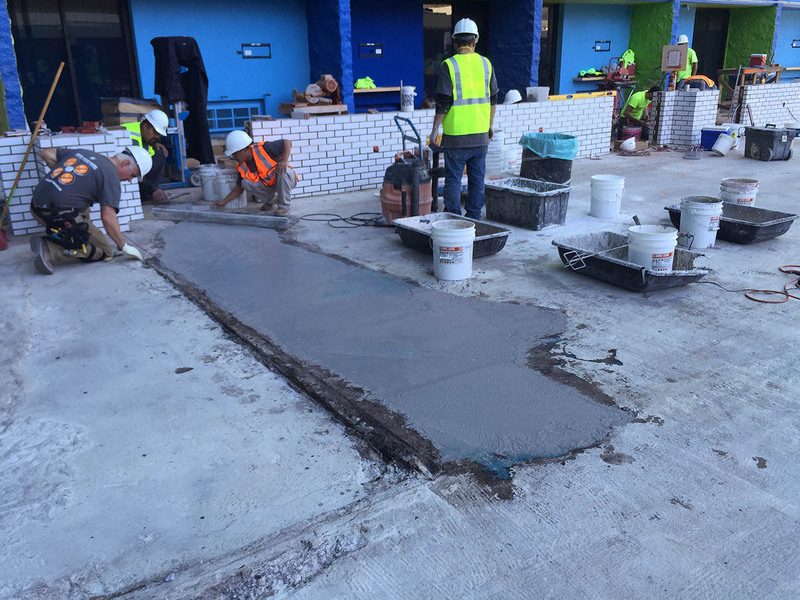 Case Study: The Linq pool deckExisting concrete substrate was severely damaged, causing structural weakness. 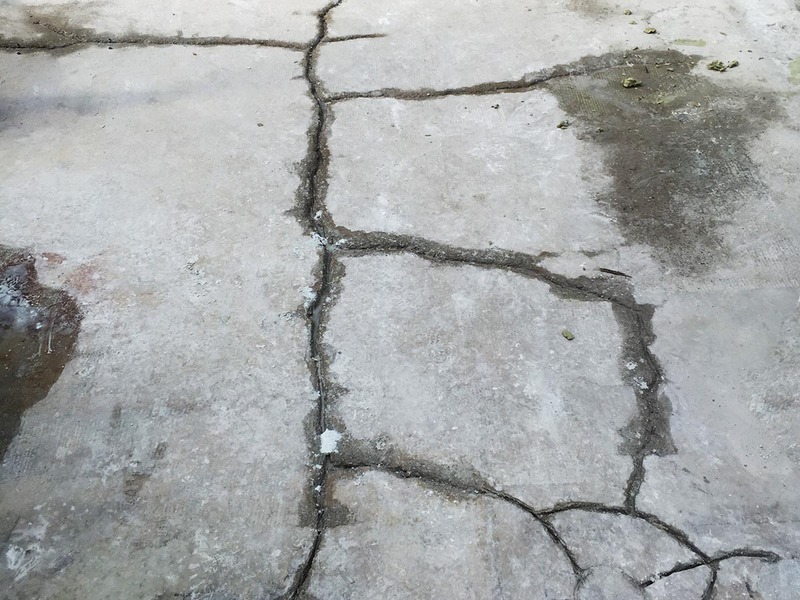 Case Study: The Linq pool deckMajor concrete cracks caused water leakage to the floor below. Furthermore, heavy rain caused leaking into the property, and also drained into the roof deck guest rooms. There were even areas in the roof where one could see directly down into the casino and receiving dock. 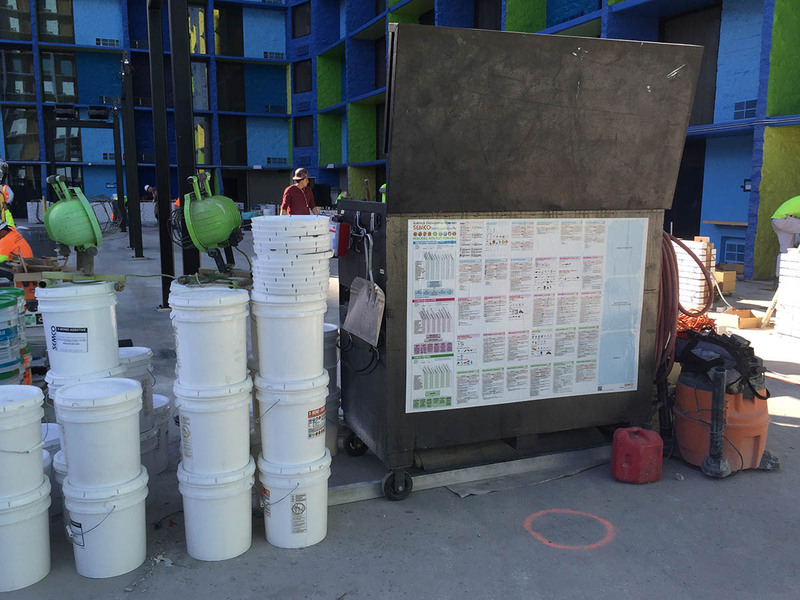 Case Study: The Linq pool deckPortions of concrete substrate were completely deteriorated. 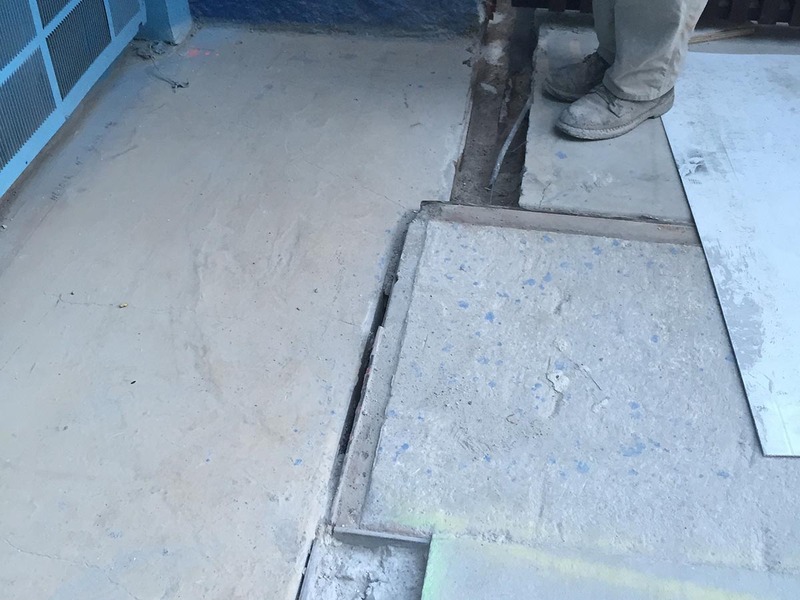 Case Study: The Linq pool deckGaps between existing substrates caused water leakage to the loading dock below. 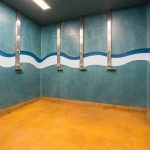 Caesar’s Entertainment turned to SEMCO for its “Remodel Without Removal™” system, and because SEMCO have been providing Caesar’s with world-class surfacing solutions for over 20 years. The first option was to remove the existing concrete slab; however, the slab also functioned as the roof for both the casino and the receiving dock. Furthermore, Caesar’s Entertainment wanted to avoid demolition, which could require costly closures to the property. Another option was to fill in the deteriorated portions with new concrete and finish with tile. 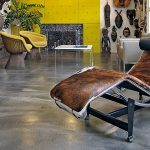 Unfortunately, the new concrete would not create a molecular bond to the existing concrete, nor would it be waterproof. It would simply continue to erode over time. SEMCO was the only solution. 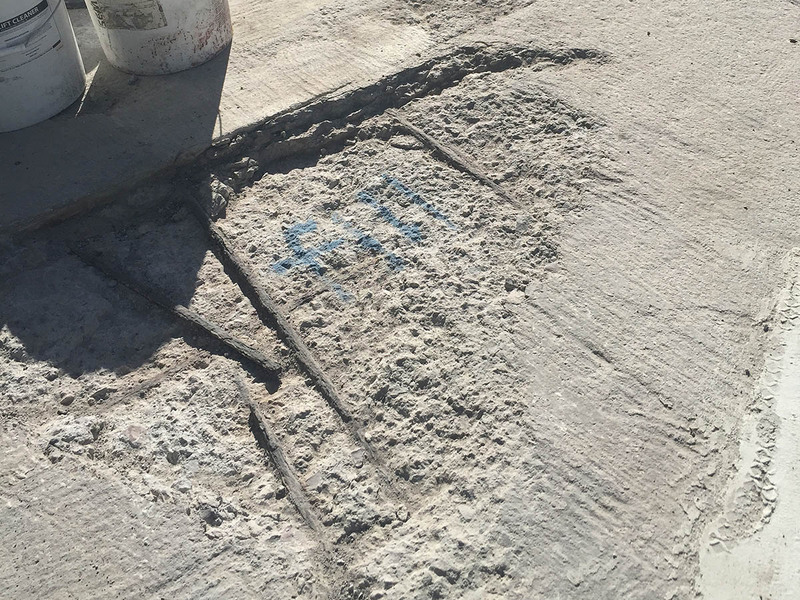 One of the project’s biggest challenges was bridging multi-generational substrates—three separate slabs of concrete dating as far back as the 1970s and through the 2000s. 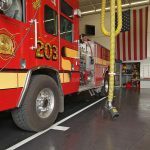 It was also necessary to create a molecular bond upon the deteriorated concrete, in order to form a seamless and safe rooftop deck surface that was ADA-compliant and waterproof. 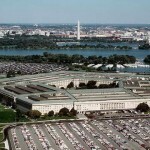 Based on the surface condition and scope of the work, this would require approximately 120 days. However, Caesar’s needed it done in 50 days. To meet the client’s goal, SEMCO assembled a team of expert technicians from California, Hawaii, Utah, and Las Vegas. 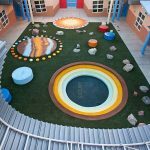 The challenges were compounded by having to work alongside other contractors simultaneously completing myriad other remodeling projects in the same space. 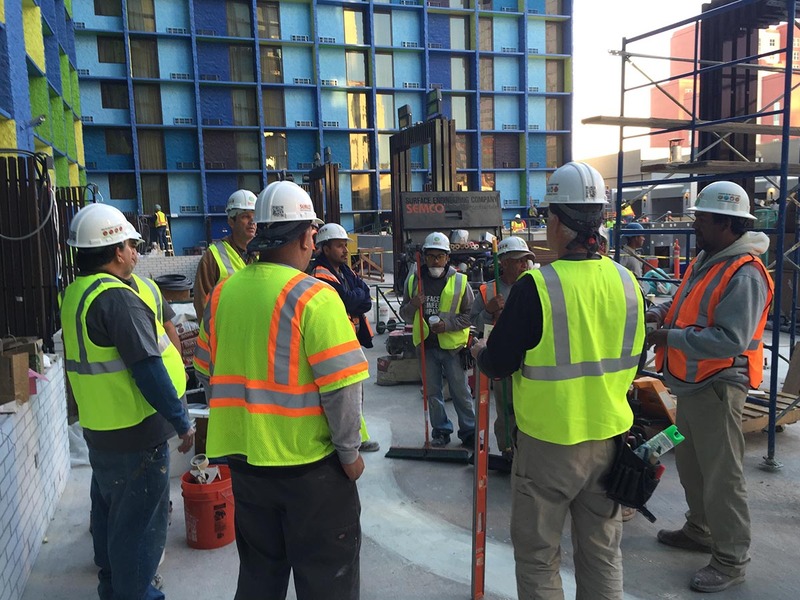 Case Study: The Linq pool deckSEMCO technicians at the job site. Even when faced with tight deadlines, SEMCO never deviates from its Application Matrix System, nor will SEMCO supplement product to cut costs. 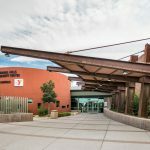 In 25 years, SEMCO had never been faced with such a challenging substrate, but SEMCO stuck to its core mission of providing the right solution to meet the Linq’s needs. We obey the SEMCO Global Standards to solve the most challenging surface conditions. 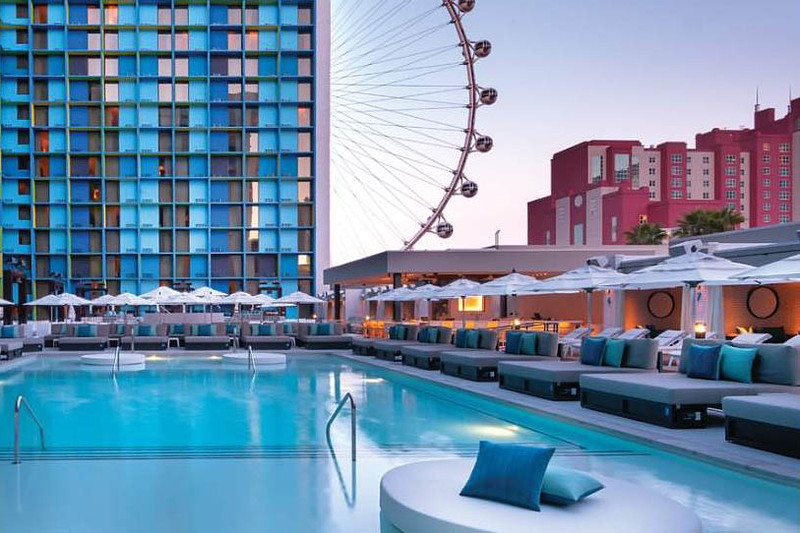 Using SEMCO’s comprehensive application matrix system, the project specialists were able to streamline the workflow, elevate team communication, and complete the entire project, including the main pool, cabanas, and the smaller glass-sided pool, in the allotted 50 days. 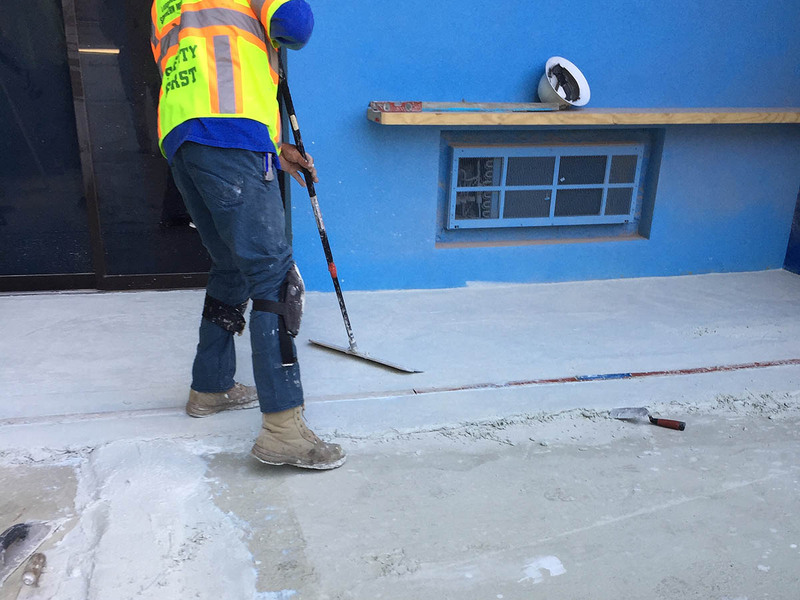 Case Study: The Linq pool deckSEMCO technicians applying X-Bond Brown Coat over severally damaged concrete substrate. Case Study: The Linq pool deckSpreading X-Bond Brown Coat to create the slope away from the building. Case Study: The Linq pool deckFollowing SEMCO application procedures (displayed on SEMCO's tool box) was the key to success. Once again, SEMCO came through for Caesar’s Entertainment. Their beautifully resurfaced roof-top pool was unveiled to an eager spring break crowd right on schedule.